So what is Net Neutrality and why should you care about it? Well, let’s look at it this way. You sit down to watch some streaming TV ala Netflix. You start watching your favorite show and about half way in you get the dreaded “Buffering…." screen. After a few minutes your show starts again but later stops. You get up in frustration and go to bed. It seems ever since your neighbor got their new high-speed wireless your internet seems to be affected negatively. 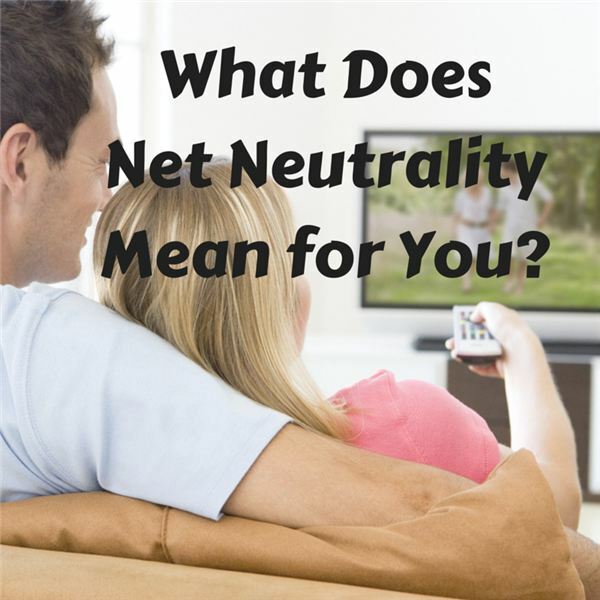 Although there are a lot of things happening behind the scenes when it comes to something as “simple" as streaming a TV show, one major area of concern is that of Net Neutrality. The idea behind this movement is that we (consumers) need companies to keep internet access open and fair to all – not just those willing to pay more. In August of 2014, news broke that Netflix had been paying Comcast for more “direct" access to customers. Numerous speed tests between Netflix and consumers were published showing the bump in speed to Netflix’s servers once Netflix started paying off Comcast. Just to reiterate Netflix was paying Comcast to ensure a better level of service for Netflix’s customers. Comcast was essentially degrading performance of their customers (on purpose) for traffic going to Netflix. Since Comcast has a huge number of customers who are also Netflix subscribers, Comcast essentially held bandwidth ransom. They told Netflix to pay up or their customers will suffer. Netflix stepped up and paid Comcast but what if the deal was turned around and Netflix started making demands of ISPs? What if your ISP wasn’t as big as someone like Comcast and thus your traffic was sent to the back of the priority list? Net Neutrality aims to stop this from happening. As you can imagine there has been a lot of political wrangling done on both sides of the fence. You have the cable providers and ISPs on one side saying that all of this traffic is crippling their networks. They want to be able to provide good service, but for heavy users like Netflix, Amazon Prime and Hulu, they should have to pay for it. On the other side of the fence are the tech companies like Microsoft, Facebook, Netflix and so on who are fighting to keep the internet open and opposing so-called internet “fast-lanes". The FCC has been working with both camps attempting to draw up policy for managing internet access. After seeking public comments in the summer of 2013, the FCC went back to the drawing board when it was clear the policies were too open ended and unenforceable. In early 2015, President Obama has weighed in asking FCC chairman Tom Wheeler to ensure the internet is kept open and fair. In February 2015, reports came out saying the FCC would propose classifying high-speed internet as a telecommunications service instead of information service. On February 26, 2015, the FCC approved Wheeler’s proposal. This means that broadband internet access cannot be throttled or blocked based on the content passing across the wires and paid prioritization is also not allowd. Just because the FCC proposal passed, the Net Neutrality “war" isn’t necessarily over. It is very likely cable companies and ISPs will appeal the decision in order to gain back some of their powers.